Hope you are all prepared for the Christmas and New Year festivities. It is only 3 weeks till training restarts and 5 weeks till the Gordon Skiers Open. The Gordon Skiers Open is the clubs big event which we host ourselves at The Lecht. Racers aged 8 and upwards can enter into this event. I am hoping I can open it to the younger athletes as well but awaiting confirmation at the moment. 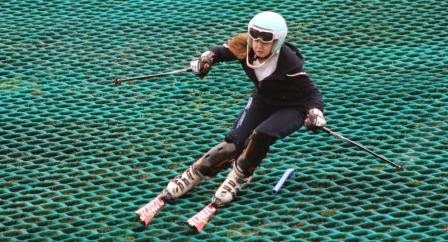 Entry forms can be found from www.gordonskiers.com under the Gordon Skiers Open 2015 Tab. The Bairns event (U10 and U12) will be run down the Eagle Raceway and all of our Bairns athletes are capable of entering this event, the BASS race will be run on The Buzzard (hopefully) and again all of our athletes would manage this. As a club we strongly encourage all of our athletes to enter races throughout the season but especially to support the clubs own event, at the end of the day we are a race club and that is what we are training for each weekend. If anyone has any concerns or questions about the racing/ this event then please let me know, I am here to answer these questions. When entering please offer your assistance under the ‘parent helper’ section, these events take a lot of organising before the day but also need a lot of volunteers on the day. Hope to see the entries flooding in over the next few days J. Kind regards and best wishes for the festive period. A reindeer versus a kangaroo!! 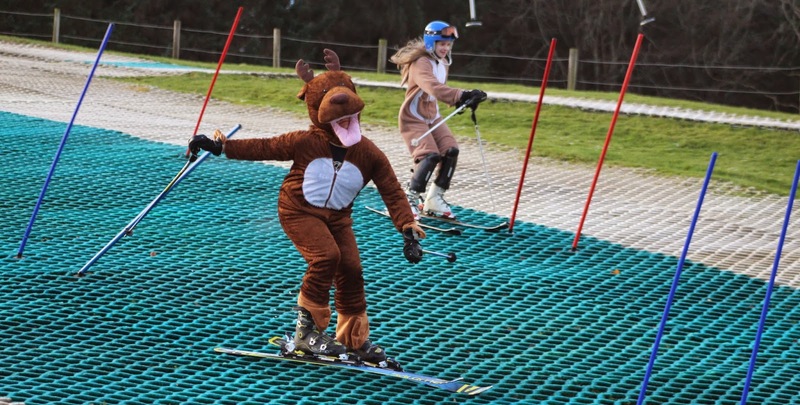 Where else would you see this other than at Gordon Skiers Xmas races!! Merry Christmas and a Happy New Year to all Gordon Skiers. OK So here we go with the teams for tomorrows Xmas races. PS Please remember to bring along prizes for the raffle at the Christmas lunch. PPS Not that I am nagging or anything but will you please please fill out the snow training forms. Even with the Chairman and Treasurer now having completed them we still only have 28 registered for snow training. A final reminder for snow forms. Sunday is the final day for completing your forms for snow training. We appreciate it is a busy time of year for everyone however it should take no more than 10 minutes to complete the forms and payment. At present we only have 23 skiers registered. Good Evening Folks, I can't believe the last week is upon us already. I've genuinely enjoyed the Alford session this year. We increased the training days by 2, giving us 8 Sundays on the mat. It's amazing what can be taught on a slope that can only take 8 gates, but I think we can all agree we've seen changes in everyone's skiing and racing. We introduced the timing gear to training, as a regular theme. I've never seen the racers so motivated and they often had to be chased off the mat at the end of training. All great fun and the coaches seemed to enjoy that too. The bad news is (and I know everyone will be really disappointed) there will be no fitness this week. It's all about skiing and racing this week. We'll be putting the teams on the blog tomorrow, so keep your eyes peeled. The teams have all been worked out based on your race times from the last few weeks, so we'll be seeing some really close races. I can guarantee it's going to be exciting. A HUGE thanks to Duncan Sewell for stepping up to the race gate. He's making an appearance in one of the race teams tomorrow, so please give him an extra loud cheer. We've also got a wee surprise. This year we'll be announcing age category winners and overall club champs. This will be the Dry Mat Championship Awards, so please come along and support the races. Please be ready to race at 9am, as we'll need the full time on the mat, to get through all the heats and make it to the finals. I hope you all have fun on Sunday and enjoy the Xmas Lunch. Unfortunately I can't make it along this week, but I can't wait to hear the results from the races. 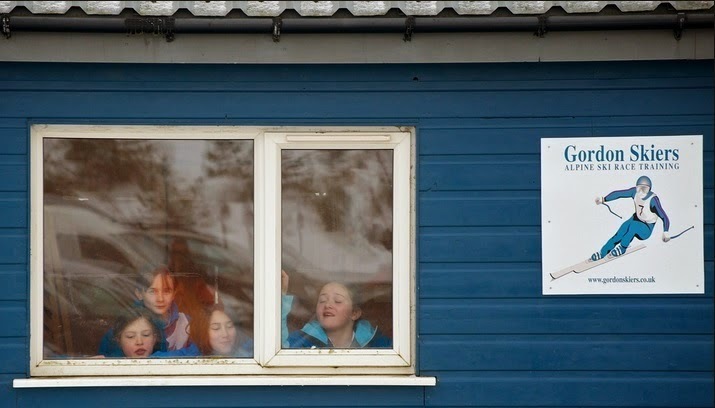 Now that we are into December and the prospect of a bit of snow skiing is looming on the horizon I thought it would be appropriate to go through some of the basics about our club hut for those of you who are new to the snow training, and to remind everyone else about them. For more info please go to the Hut Etiquette page. That is all the ‘training’ sessions finished for this year BUT this Sunday we will have the Annual Xmas Races. These will take the same format as last year with team dual slaloms making up most of the mornings events. There will be a short period to warm up on the courses and then racing will commence. Snow Training. The deadline for snow training applications is next Sunday. At the time of writing this on Sunday evening we have the grand total of 15 skiers registered for the 2015 snow training season. Please can all those with skiers planning on skiing over the snow season ensure they are registered by next Sunday at the latest. We need to have numbers finalised before Xmas / New Year so that we can enjoy the holiday period as well! I keep waiting for the moment when the kids tell me they've have enough and are getting bored. Thankfully, that still seems like a long way off. We've had another great day of training and racing today with some of the closest racing I've seen so far. Training Times Sunday December 7th. Here are this weeks times, definitely a slower course this week with most folk marginally slower and there were some tricky gates at the bottom that caught a few folk out and accounting for most of the DNFs. In the family battles, David Alexander still clinging on ahead of son Hamish by 0.16 seconds and for the second week running Beth leads the Whatford clan home by 0.15seconds! Morning Folks, this week we may be splitting the training between indoors and outdoors, so please come prepared. Sunday's coaches will be Jamie, Malcolm, John and myself. Perf 1 , Dev 1 and Dev 3 will be on skiing first. Perf 2, Dev 2 and Dev 4 will be on fitness first. Training 30th November........and now the video! Thanks to David Alexander for these videos from today's training. Wow, what a day of training for Gordon Skier's today. The rain finally cleared and the Gordon Racers were shining as bright as the sun. I'm taking a well earned break from decorating the Christmas Tree to report on today's activities. It seems the timing gear has really got everyone motivated. I don't know the times this week, but Paul will be publishing them separately. Two reminders for you all. The timings are in! So who are the cruisers and who were the losers?? Read on! In the battles of parents V children, David Alexander is clinging on ahead of Hamish....... but it is getting close and Beth has the bragging rights in the Whatford household tonight! 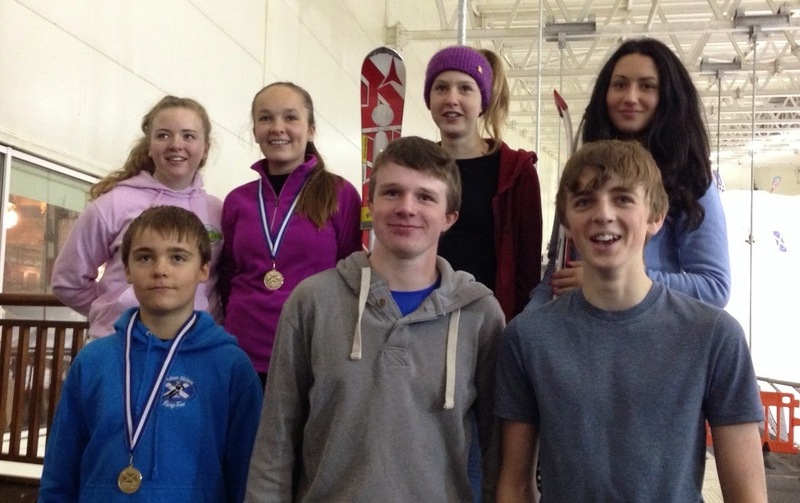 There were some great performances from Gordon Skiers at the 2014 SSSA Indoor Skier/Boarder Cross Race at Braehead on Thursday. 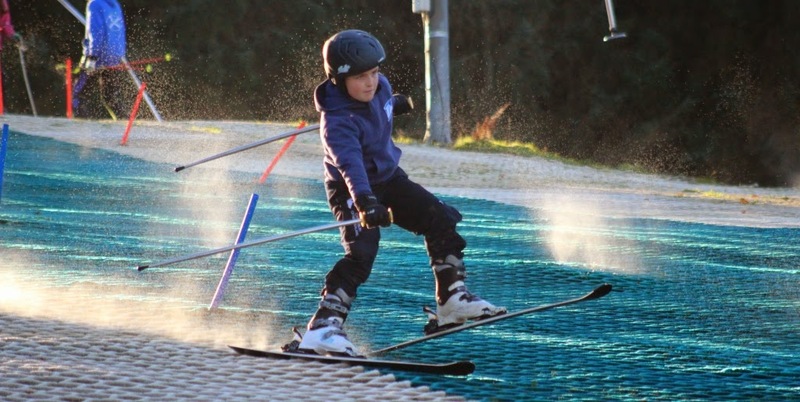 Gordon Skiers were representing a number of local schools with strong contingents in the Alford, Banchory and Robert Gordons teams. Evening Folks, again this week we will be splitting the training between indoors and outdoors, so please come prepared. A reminder of the times for all. Ready to ski at 9:00 am, for the first group and 10:30 am for the second group. Please do your best to be ready to go on time, as it really helps the coaches stick to the teaching plans. Here are the times from yesterdays timed runs which your skiers may well be interested in! Gary, you might like to note that your daughter's time is getting extremely close to your own with a mere 8/100 sec in it!! Good also to see Hamish Alexander leading his father home by 2/100 of a second! 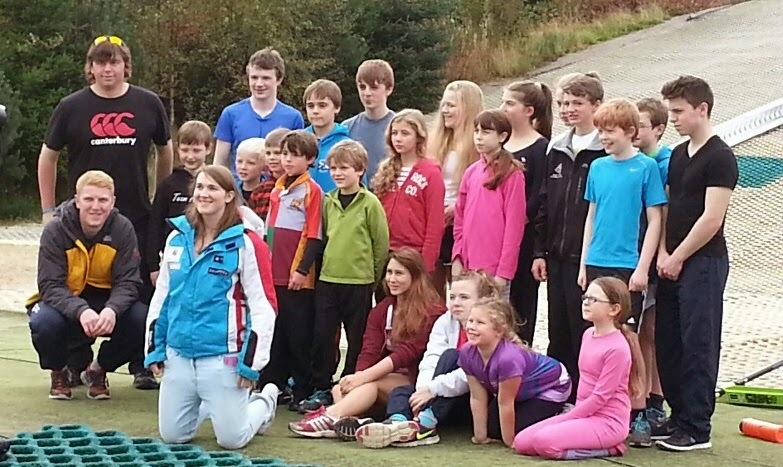 What a fantastic training day for the Gordon Skier's today. I'm not sure if the sunshine made a difference, but everyone was beaming. We had a bit of a change of theme today, with timed runs for most racers. I must apologise to Development Squad 2, as it's my fault most of you didn't get a timed run. I promise you'll all get times next week. If you are planning on coming to the Christmas Lunch then please complete the form below to book your place and make your selections. If you have not filled in the form we will assume you are not coming. Many of you will have noticed that we have not had are usual Ceilidh this year. We had hoped to hold it in the autumn season however we have just not had the resources to organise it. As a result we have lost one of our main fundraisers. To make up for this we are planning to have a raffle at the Christmas Lunch. We are looking for donations of prizes so if you, your employer or any friends could donate any prizes they would be gratefully received. Evening Folks, again this week we may be splitting the training between indoors and outdoors, so please come prepared. This week's coaches will be James, Jamie, Malcolm, Kenny and myself. It seems I wasn't clear enough last week and caused some confusion. The format will always be the same for the plastic training, so athletes and parents know what to wear for first session. Perf 1 , Dev 1 and Dev 3 will always be on skiing first. Perf 2, Dev 2 and Dev 4 will always be on fitness first. Congratulations to Ben Morris, as you have have made the step up up to Development 3. The plan is for Me to run the first fitness session. The grass is soaking wet, so I'll set up (hopefully) indoors, with Kenny on Perf 1, Jamie on Dev 1 and Malcs on Dev 3. The second fitness session will be run by Kenny, with myself on Perf 2, Jamie on Dev 2 and Malcolm on Dev 4. Many Thanks to all who came to training today. It was a very wet start and I saw plenty of soggy skiers at the half time break. Evening All, I hope you're all ready to train hard tomorrow. For fitness, please remember to bring a water bottle. We're going to be working hard on fitness tomorrow and I expect everyone to work up a real thirst. 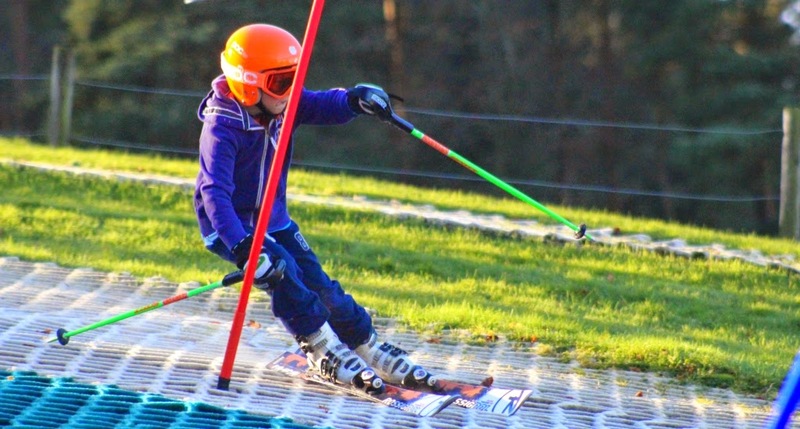 The land training we do is really important for ski racing. It's designed to increase the stamina and stability of the athletes, as well as build on the core strength that's essential for high level skiing. We'll be splitting the training between indoors and outdoors, so please come prepared. Tomorrow'c coaches will be James, Jamie, Malcolm and myself. The plan is for James to run the first fitness session, with myself on Perf 1, Jamie on Dev 1 and Malcs on Dev 3. The second fitness session will (probably) be run by me, with Jamie on Perf 2, Malcolm on Dev 2 and James on Dev 4. PS, I'm hoping to pass on some info, before skiing tomorrow, so would appreciate is athletes and parents could hang around just before 9am. It’s coming up to that time of year again where Christmas plans are underway. Gordon Skiers will be hosting their annual fun Christmas Races at Alford on Sunday 14th December during the normal training session. The action packed morning will be followed by a Christmas Lunch at Alford Golf Club. The morning will see any members who wish to race put into mixed teams and racing between all teams will take place, who will be champion this year? Details on the racing will follow in due course. A short update from our racing convenor James. The dates for this winter's races are now published and can be seen on our Calendar page. Most important date for your diary is weekend of January 24/25th when we will be hosting the Gordon Skiers Open, hopefully at the Lecht snow permitting! 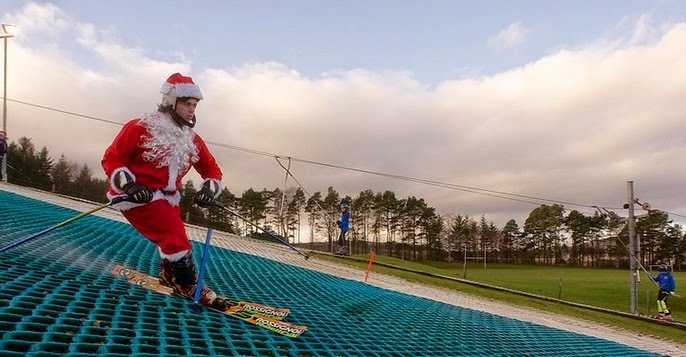 Dates of all other races are published via Snowsport Scotland and can be viewed on our own Calendar page which incorporates the Snowsport Scotland calendar. Please remember that we will need a lot of volunteers to allow the Gordon Skiers Open to run so please keep that weekend free and make yourself available to help James. There was some great skiing out there today, especially from the younger skiers! Pity the same could not be said of the coaches!! Fras here demonstrating how not to do it! Sorry Fras but we could not turn down such a golden opportunity! In fairness the subsequent recovery was very impressive. All the skiers should take note that we will be refocusing on the fitness training and assessments next week. So for those in the Performance Squads........ there is relegation as well as promotion! A selection of photos have been posted on our Facebook page. SSSA Alpine Races. Schools Matchmaking Service! 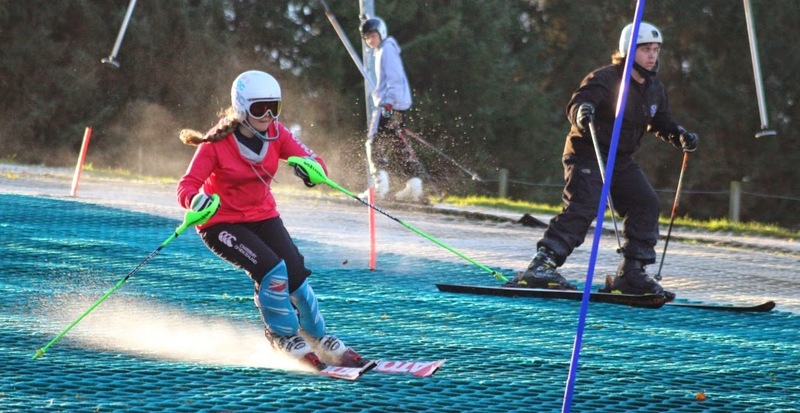 This seasons SSSA Alpine Race series are now accepting entries. 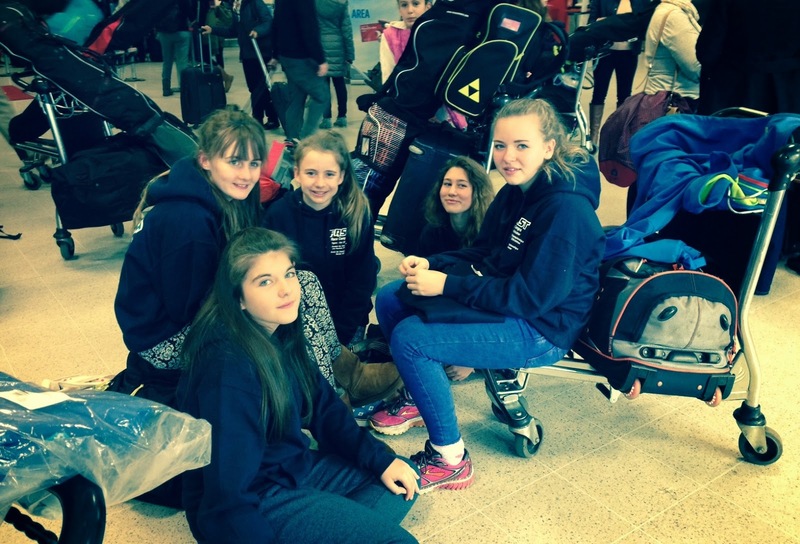 Many of our Gordon skiers have participated and will do so again this season as part of one of their schools teams. Following our committee meeting after training today there are a number of housekeeping notices. Parents, please sign your skiers out at the end of training, we need to know who has been collected for your children's safety. Whilst signing out has improved it is far from perfect and there are some recidivists out there! Can all skiers please use the changing rooms to change. The centre has asked us to ensure nobody changes in the hallway as this has been blocking fire escapes in breach of fire regulations. This is for our safety. There are no football teams using the changing rooms on a Sunday morning at present so we do have sole use. We are looking for parent helpers to help with running the fitness sessions. Please offer your help to Gary and he will put you in contact with the coaches running the fitness sessions. We still have an issue with parents of the younger skiers not being present at mid-morning break to help them change into and out of skiing gear, If they are not able to do this themselves, you need to be there to help them please. Finally and most importantly, we are in need of committee members. We have lost 3 committee members (through no fault of theirs or ours!) mainly due to relocation away from Grampian. We are looking for a Sponsorship convenor and two ordinary members. If you want to know what is involved speak to any of the committee members and if you wish to offer your services please speak to Graeme Brown the chairman. Well, the first snow has been falling up on the hills so time to start thinking about on snow training!! We have now finalised details for winter 2015. The first Sunday of training will be 11th January, the first Sunday after schools go back and will run weekly through to 29th March, a total of 12 weeks. 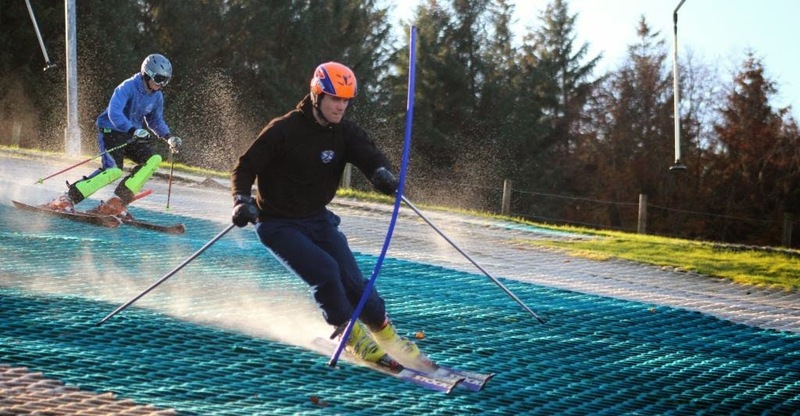 We are pleased to be able to keep snow training fees to £20 per session or £240 in total for the third year running. 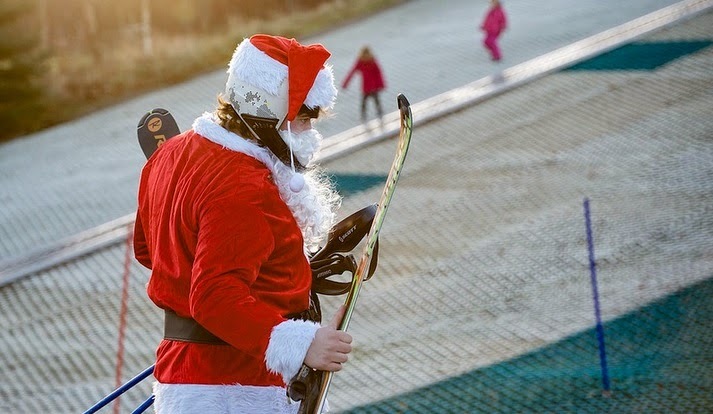 Can we remind any of you who have not been training on dry slope and who have not yet paid their club membership fees that you will need to do so at the same time as paying for snow training. The deadline for applying and paying for snow training is Sunday December 14th. We need to have this finalised prior to the Xmas / New Year break. As with dry slope training please use our online form for registering for snow training and pay online using paypal or online banking. Details are on the application form. Training will run from 9AM to 3PM with a break for lunch. This means that skiers must be ready for skiing at 8.45AM. The coaches will leave with their groups at 9AM and will not wait for anyone not present, (even if they are in the car park getting their boots on!). Welcome back to dry slope training after the half term break. The groups remain the same as does the order of play with Performance 1,Development 1 and Development 3 skiing first, Performance 2 and Development 2 and Development 4 will be doing fitness first. Please be kitted up and ready to start at 9AM sharp. Yesterday we announced the dates for a scheduled UKCP L2 Alpine course for Les Houches in January (11-16th). This will take place just after the Anglo-Scottish/BSA Champs (3-7th) and the Scottish FIS Races (5-6th and 9-10th) in the Chamonix Valley. Having had several enquiries, we are now looking to take orders for Gordon Skiers hoodies, softshells and fleeces: one bulk order will be easier for the supplier to handle than individual orders and also lowers the costs a little. Clothing items will be sourced from Team Spirit Promotions (www.t-spirit.co.uk). Bairns and Lassies, Race Report from Gary. Many Thanks to all the racers and supporters (Parents) that made the trip South for the Bairns and Lassies race on Hillend on Sunday. As Graeme has mentioned, this is the toughest plastic piste in GB to ski and race on. Bearing in mind we had 5 racers in the Bairns category and 2 of them had never even skied on it before they did amazingly well. Two clean runs from Daisy Cowie and a top ten finish. LSRA Bairns and Lassies :- The Video. Many thanks to Neil Walker of LSRA who has posted this video of the day. Watch carefully and you will see a few Gordon Skiers in action! Bairns and Lassies, A Message From the Chairman! A massive thanks to all racers, parents and coaches who traveled to Hillend for the Bairns and Lassies race at the weekend. It was a fantastic turnout with 16 racers from the club competing. A special mention goes to those racers competing in their first races. 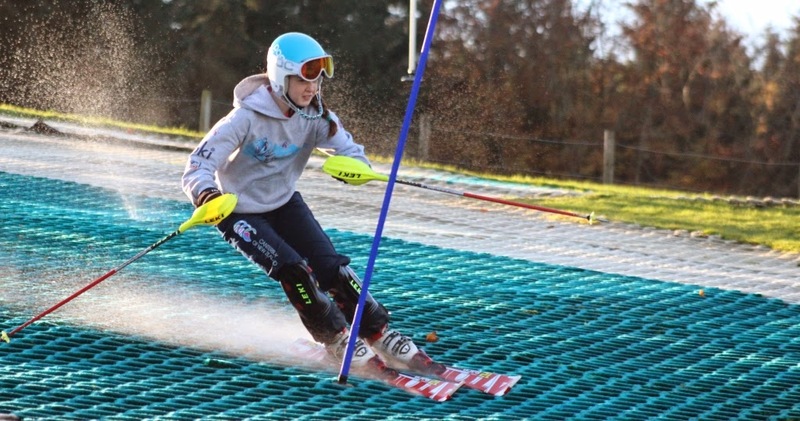 Out of 500 + total (individual) entries to the Scottish Schools Snowsports Association School championships, 7 Gordon Skiers made it through to the Secondary Schools finals. If your child wants to attend the FAST British Championships Camp in March 2015, you need to read on! First, welcome back to those who went to Tignes! I hear that it was a great camp and the organisation of it was absolutely excellent: many, many thanks to Dawn Waitt in particular for all her hard work which brought the camp to fruition. Also a big thank you to the houseparents, the coaching team and all the children for making the most of the two weeks, combining hard work with good fun and great attitudes all round. 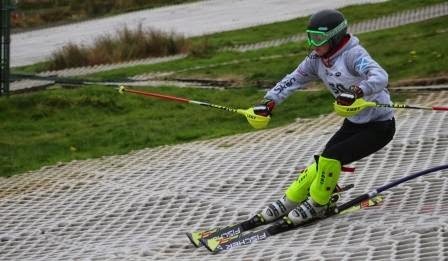 A reminder to all Gordon Skiers racers to renew their Snowsport Scotland competitor registration for the upcoming season. Please complete the competitor registration form HERE. For both re-registrations and new registrations they will be issuing competitor licences in early November. You will notice slight change to the form from previous years particularly relevant to Alpine racers. On any iBARTS, oBARTS and BASS race start lists and results, only one club will be shown. Therefore, we request one named club for BARTS (Artificial races) and BASS (Snow races). The same club can be used for both where appropriate. More information can be found here. So for all Gordon Skiers planning on racing over the next year (all of you we hope!) 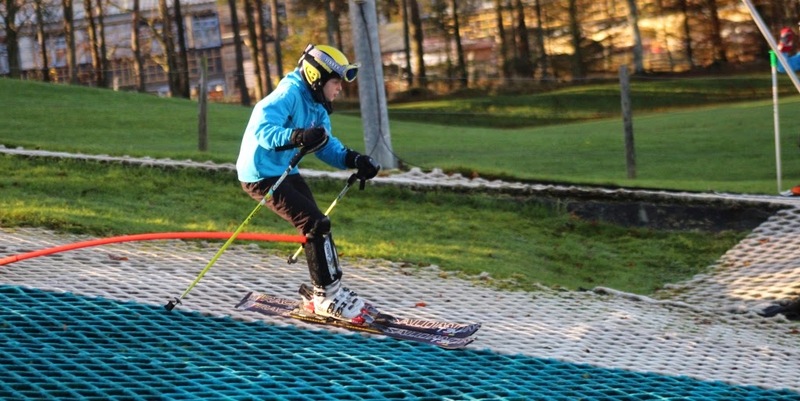 please go to the Snowsport Scotland website to either renew your existing registration or take out a new one. The good news this year is that the price has been held at £35! For families with more than one competitor, additional family members can register as a competitor with a £10 discount. Any competitors in the Under 12 category or younger (born 2003 or later) can register for free. Please note, there will be a late charge for those re-registering after 7th November 2014. Please register before this date even if you won't be competing until the dryslope competitions in Spring/Summer. All late re-registrations will be charged £45. Thanks to everyone for letting James know they have entered for the Bairns and Lassies Race at Hillend on Sunday November 2nd. We have 16 members competing, one of our best turnouts ever at a dry mat race. Coaching support has been finalised and consists of Gary Whatford and Andrew Cambell with Iain Cambell in support. 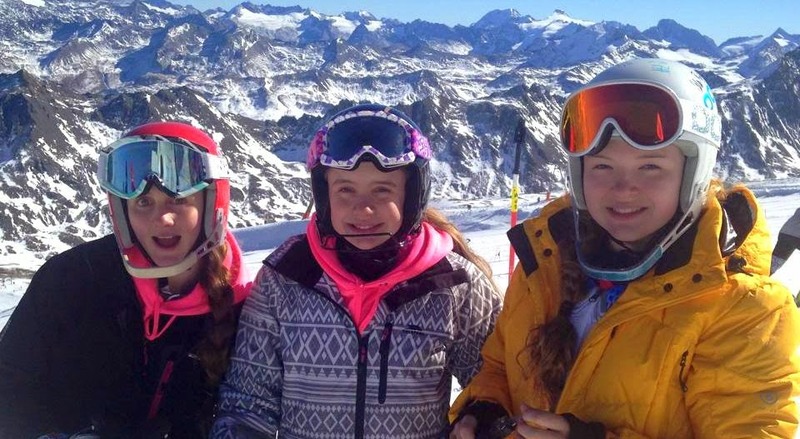 We will be running a training session on Saturday afternoon, starting at 2pm and finishing at 5pm in order for the younger skiers to get back to the hotel and get a meal at a reasonable time as it is a very early start on Sunday morning. There will also be coaching support for the races on Sunday to help with course inspection etc. There will be a charge of £20 per competitor for the whole weekend to cover the coaching. We will be in touch by email to see who is staying at Novotel and who would like to join up for a meal on Saturday evening. The Life of a Head Ski Coach! Gary on Oct 23rd at Tignes getting a massage from Ben and Paul during lunch. His excuse was it was his 15th wedding anniversary and Wilma wouldn't oblige. The truth is out, now we know what Gary really gets up to on his skiing vacations! AGM 2014 Reminder – Sunday 23rd November, Glenmore Lodge. We wish to remind Member Clubs that the formal announcement of the AGM and its agenda will be issued to you on this Friday, 24 October, together with the detailed programme for the weekend of 22 and 23 November. Hence any motions for the agenda or nominations for Board vacancies which you might wish to propose have to be received by us no later than Thursday of this week (23rd October). Please email info@snowsportscotland.org<mailto:info@snowsportscotland.org> with any nominations that you may wish to make. Please note in order for votes to be put forward clubs must be affiliated for the 14-15 year, I have attached the club subscription form for the upcoming year. Rhiannon and I were both extremely disappointed to discover after the service on Monday that so many of you came along to participate in the celebration of Suzanne’s life only to be left out on the corridor and hence missed the service. You may be one of those people and if not then you may know some of those that missed out. On hindsight I should have reserved more seats for friends but given the number of people that let me know that they couldn’t make it due to holidays I thought we would be able to seat you all. As it happened we were overwhelmed and the hotel counted around 300 of you when we had anticipated around 100. Hindsight is a great thing isn’t it? Follow their adventures on the FAST Facebook page. Peacefully, at Aberdeen Royal Infirmary on Saturday, October 4th, 2014, Suzanne Cowie Patience aged 55 years. Beloved wife of Walter Bryden Taylor, adored mum of Rhiannon, dearly loved daughter of Nan and the late John Patience and a much loved sister, sister-in-law and aunt. A celebration of Suzanne’s life will be held in the Cullen Bay Hotel, Cullen on Monday October 13th, at 12.30 p.m. to which all friends are respectfully invited, thereafter to Cullen and Deskford Cemetery. You are encouraged to arrive at Cullen Bay Hotel from 11.30 a.m. onwards to meet with the family for reflections of Suzanne’s life. Family flowers only please but donations in lieu, if desired, may be given at the hotel door for Macmillan. Informal dress optional. In order to keep costs to the club to a minimum we would like to finalize the coaching support and book their accommodation before the prices start to rise as the date gets closer. Could all those who have either entered the Bairns and Lassies Race or are planning on entering please contact James by email on racing@gordonskiers.com so that we can gauge how many coaches are required. Training Report Sunday Oct 5th. Many Thanks for the efforts and commitment at today's training. A slight change around for the coaches today and the feedback from all was excellent. The physical training was great fun and the highlight, for me, was finishing with a good old fashioned game of British Bulldogs. Following our last posting, this is a quick warning for everybody planning on heading down to Hillend for the Bairns and Lassies Race. The race is booking up fast, as I write this at 18.15 on Sunday evening the entries are up to 53. The entry form is not easy to find on the LSRA website so I have placed a link direct to the entry form below. 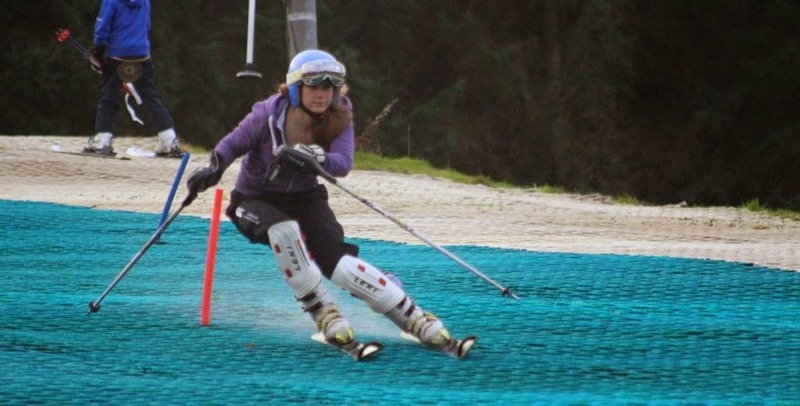 It will be great to see the performance squad members flying the flag for Gordon Skiers! Looking forward to seeing you all tomorrow. Groups are pretty much unchanged, just one mover in Hamish Alexander to performance squad 1. Remember it is our second hand sale tomorrow so if you have clothing or ski kit your skiers have grown out of then dig it out and bring it along. Don't forget that Blues will also be doing a ski preparation demo and will be bringing along a range of kit for members to purchase. As last week, Performance Squad 1 and Development Squads 1 and 3 will be skiing first (This will be the same every week so skiers, no excuses for not being kitted out at 9am sharp ready to start). We'll swap around for the second session and then everyone on the mat for racing at the end. Gary and James will be doing the first fitness session whilst Kenny works with Performance Squad 1, Jamie with Development 1 and Malcolm with Development 3. In the second session it will be Malcolm and Kenny on fitness, Gary skiing with Performance Squad 2, Jamie on Development 2 and James on Development 4. Remember the house keeping note from mid week, please sign in and out and leave us a contact phone number! We are pleased to announce that Fras Mcleod has agreed to take on responsibility for all Gordon Skiers equipment and clothing. Fras will be taking on responsibility for all the Gordon Skiers clothing orders. We are currently looking at putting together an order for Team Spirit clothing. More on this at a later date. He is also going to be in charge of negotiations with equipment suppliers. We will try and collate information on the deals negotiated on the Clothing / Kit page of the blog. As a result of this he has already been in touch with Shona Anderson at Nevisport in Glasgow (ex-Blues and who nowheads up Nevisports ski dept) regarding discounts for race clubs. She has put together the below deal on race items (approx 25% discount). It's just a case of completing the form and returning to aberdeen@nevisport.com however you need to go into shop to pay deposit / take hard copy at that time. Clink on the links below for the offers and application form. We would love to have a strong Gordon Skiers presence at this race so why not come along and join us. We will have coach support at the race. We are especially looking for a strong turnout from our Performance Squad! Unfortunately the U14 / U16 age category does start at the rather uncivilized hour of 7AM so you may want to book accommodation and travel down on the Saturday afternoon! A number of us have already booked in to the Edinburgh Park Novotel. In the past we have taken the skiers along to the slope for about 4pm on the Saturday to give them some time to familiarize themselves with the Hillend slope which is very different to either Alford or Garthdee. We hope to run a training session on Saturday evening for all those that are able to make it down. Hillend is a tough and challenging slope so if you are unsure if your child (most likely Bairns) is capable then please ask a coach to advise. If you are entering the event then please let James, the club race convenor, know at racing@gordonskiers.com so that we can arrange adequate coach cover. If you have any questions then please also feel free to ask James. Just a quick reminder that this coming Sunday , October 5th is the club second hand sale so if you have some old kit you think might be of use to someone else then dig it out and bring it along. We are also looking forward to a demonstration of ski maintenance from Blues ski shop. They will also be bringing along some goodies you all to buy! Please ensure your skiers are signed in and out, irrespective of age and that we have a contact phone number. This is important for us, primarily for safety reasons but it also affects the rent we pay at the ski slope. We need to reliably know the numbers who have attended and the sign in sheets are our system for doing this. We still have some skiers attending who have not paid either membership or dry slope training fees. You will all have been contacted so please rectify this. For parents of younger skiers who need assistance in changing into and out of skiing boots etc, you need to be available to assist them at mid morning break and then prior to the racing starting. Soup rota. If you are not yet on the soup rota, there are spaces left that need to be filled. Please speak to Maggie Simpson. Gary has a blue fleece left by someone on Sunday, he will bring it along next week. We have negotiated a 10% discount with Ski Racing Supplies, type in GORD2014 at checkout. Details also on the clothing / kit page. Thanks to all racers who took part in training on Sunday. It was great to have Alex Tilley with us to help with the race training and to answer questions about her experiences skiing with the British team. 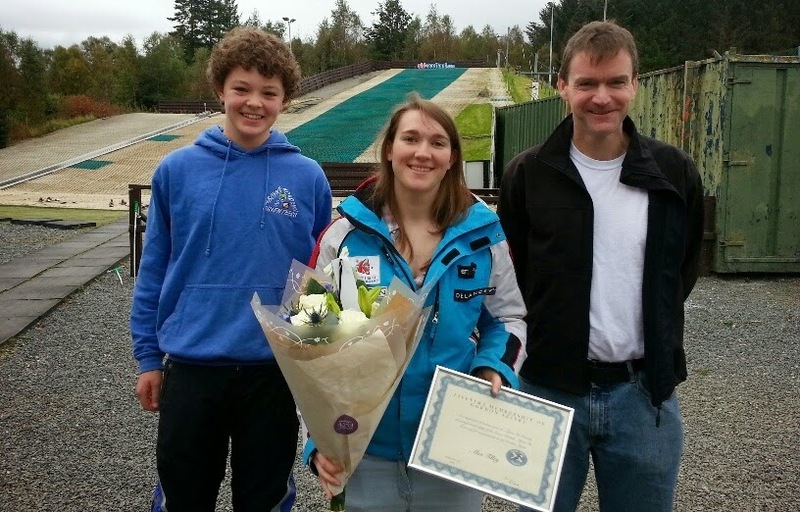 In recognition of her achievements and attaining membership of the senior British alpine team, the club awarded her lifetime membership of Gordon Skiers. The award was presented by Iain Campbell who himself has been a member of the club for over 10 years and who is now helping with training and working towards further ski coaching qualifications. We hope our younger members will be inspired and encouraged by watching Alex and Iain progress through racing and coaching pathways. Alex has kindly agreed to send us reports for our blog on a regular basis. Alex with coaches James and Jamie and the members.